This post is part of a Travelingmom.com Twitter party promotion for Nokia Take Two photo contest. 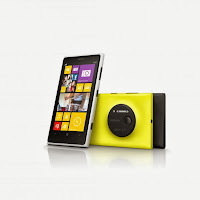 Check out below how you can enter to win a 41 megapixel Nokia Lumina 2010 camera phone. My first vacation to Hawaii was a very memorable adventure. My mom took me to JC Penney to get the perfect outfit to wear on the plane (People dressed up to go on plane rides back then. I loved that green and white searsucker pants suit). I packed my clunky circular suitcase (no wheels and it was not light weight) and I tucked 3 extra rolls of film into my purse so that I could take plenty of pictures on what would surely be a memorable excursion. When we arrived I was not disappointed. Every day was a new adventure. But one day was particularly exciting and it was that day that I almost got the perfect travel picture but instead took the #EpicFail picture of all time. On this particular morning we were going to go body surfing. We found a beach with the right sized waves and not too many people. We were getting set up on the beach when I saw a couple of people walking our way. It was an odd site because they had swim flippers on and so they were walking very funny along the beach. After checking out their feet I looked up and realized I was just several feet away from one of my all time favorite TV stars Flip Wilson (yeah - Google this and you will know approximately what year this vacation was). I pulled out my camera, he struck a pose, and gave me a big smile. I was out of my mind thrilled and couldn't wait to get home to get the film developed and put this picture up on my wall. Nowadays we all walk around with digital cameras that are connected right to our phones. SO, in theory, these EpicFail moments shouldn't happen any more because we can check the picture right then and there and if it is blurry we can just retake it. But there are those pictures that you only have one chance to get that one shot. Nokia wants to help with those missed moments and give us a second chance. Join me and Travelingmom.com on the #TMOM #TAKETWO Twitter party on Monday October 7th at 9pm EST to chat about better photos and to have a chance to win. Enter the Nokia Contest HERE. Find out more about the Travelingmom twitter party HERE. The Nokia #TakeTwo contest runs now until October 16th, so enter the giveaway and get your photos. Full giveaway rules and the entry form are available at the Nokia website. You can also follow the fun on Nokia's Facebook and Twitter. You also have a chance to win a Nokia Lumia 1020 at the Traveling Moms Twitter Party Monday, October 7th, where we will talk about photo do-overs. HOW: RSVP on the Traveling Mom website. This post is part of the sponsored twitter party but as always my opinions are my own and my #EpicFail photo moment was definitely all my own.